Even in adults, misaligned teeth should be treated for medical reasons, especially if the misalignment has already led to excessive wear of healthy teeth, if aesthetics or dental hygiene suffer from the misalignment or if it causes muscular tension in the jaw, head and neck pain or snoring. 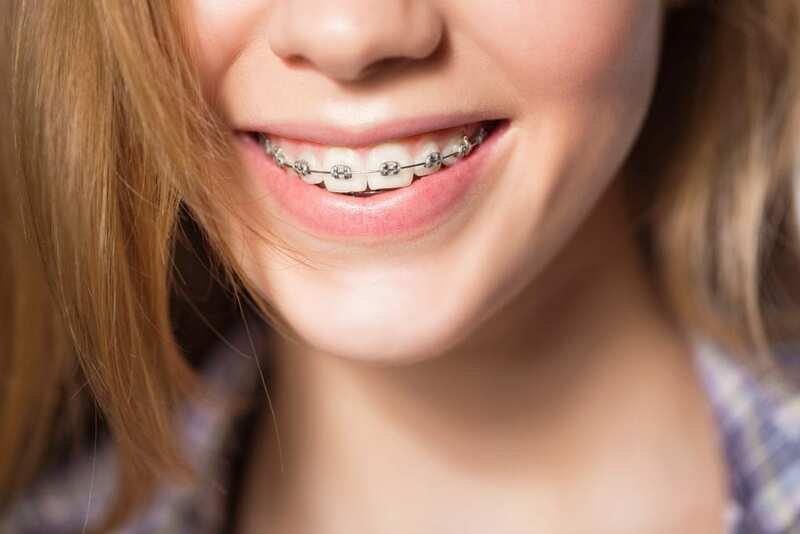 Inconspicuous braces are usually very important to adult patients, which is why, in addition to the classic metal brackets, we also offer tooth-colored brackets, as well as almost invisible, transparent dental splints (aligners). Our brackets are exclusively self-ligating (resulting in a shorter treatment time, without the need of discolouring rubbers) and we use highly elastic wires, which guarantee gentle, even and smooth force delivery during tooth movements. Where invisible tooth alignment is desirable, we naturally also offer almost transparent aligners through our Master-Coip-specialized and Invisalign-certified Dr. Christina Tepper. We exclusively use leading quality systems – owing to advertising guidelines, we cannot name the companies we use here, but we can gladly inform you personally about these brands. This innovative treatment, with its special transparent splint-system, is an effective method of correcting misaligned teeth in a gentle and predictable (due to 3D computer planning) fashion. The splints are made of transparent plastic and are individually made for each patient after careful analysis and preparation. With the help of Digital Smile Architecture (DSA), one’s complete smile can be virtually redesigned on demand and made visible on a screen (smile design). Crossbite: the affected teeth of the lower jaw place themselves in front of the upper teeth. Gap bite: the jaw is too big in relation to the teeth and there are noticeable gaps between the teeth. Why and when are braces necessary for adults? Misalignment of the teeth or the jaw can lead to discomfort in the temporomandibular joint and to increased pressure on the teeth. Some muscle groups – especially in the neck and throat area – are unevenly strained. The medical use of adult braces can improve existing conditions (such as neck pain and headaches). Corrected ideal occlusion of teeth provide for healthy loading. Teeth wear off unusually quickly when they are misaligned. Furthermore, if the teeth are too close together, proper oral hygiene is hardly possible due to crowding, which makes stains and dirt accumulate. This not only damages the teeth, but also the periodontium, and can cause severe long-term damage (periodontitis). However, increasingly, patients simply arrive with the wish for “beautiful straight teeth”. Orthodontics are not only recommended for functional problems, but also for when aesthetics are of vital importance to the patient. Most especially after the treatment for adults, we hear the same sentences over and over again: “I should have had this done a long time ago. I am so glad to have taken this path. I wish my teeth had already been aligned in my youth, but it’s certainly never too late. What do braces/tooth regulations cost? Every patient is individual – every mouth is different. You will receive a tailor-made quotation from us, based on your individual needs and wishes, so that you’re always clear about the costs involved. We also try to give you a reliable prognosis for the duration of the orthodontic treatment. What about eating and hygiene? At the beginning of an orthodontic treatment, you will experience the sensation of pressure and tension. The teeth have to move, and that can feel uncomfortable for the first few days. Try to avoid hard and sticky foods for the first few days, especially if you have fixed braces. Since unclean teeth and gums cause tooth decay, bad breath and gum disease, thorough daily teeth cleaning is a prerequisite during orthodontic treatment. We will help, showing you exactly how to take the best care of your teeth. Oral hygiene of similarly essential when it comes to removable aligners (“transparent braces”); however, they are removed before eating or for dental care. This means you are unrestricted when it comes to eating and oral hygiene methods.